Our Europe specialist Graci just returned from a 10-day trip through France. She visited Paris, Aix en Provence, and Saint Tropez. Read on for a list of where she ate, and whether or not she recommends you try it on your next trip to France! 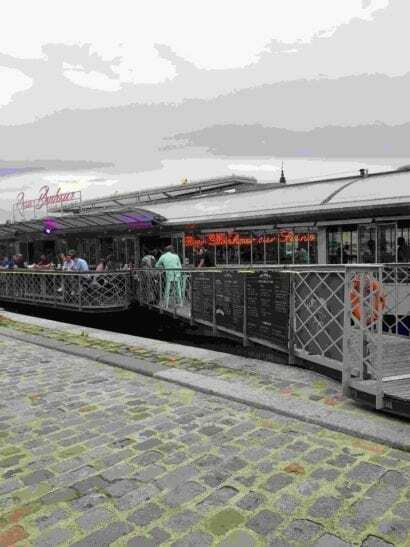 Located near the Alexandre III Bridge and the Grand Palais, this new floating barge on the Seine cannot be missed! You may notice tourists and locals alike ordering drinks at the bar, then sitting outside on the ledge of the river, chatting and watching the boats go by. Graci and her husband did, and quickly followed suit. Graci describes this eatery as a low key, hipster spot that is great for lunch or dinner. One thing to keep in mind is that there are no English menus available here, so be prepared to test out your french phrases and try something new. This is like the patisserie of your dreams, and is known as one of the best in all of France. 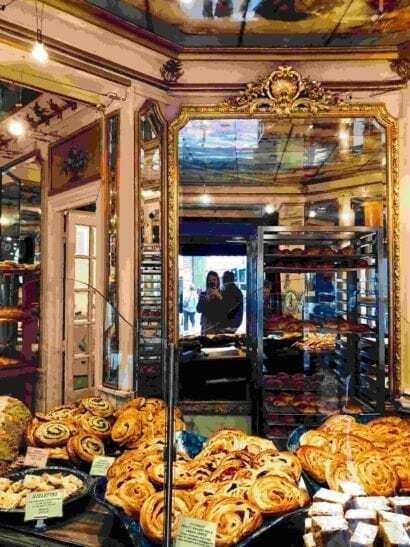 Everything you can imagine is available here, from chocolate croissants to pistachio rolls. Don’t forget to look up to admire the beautifully hand painted ceilings! Graci and her husband loved this spot so much, they ate here two days in a row! 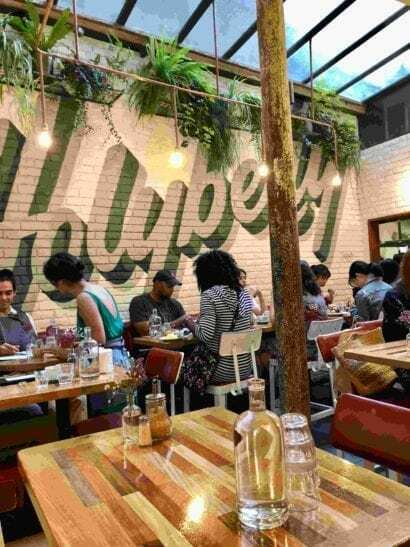 This is very similar to a trendy breakfast spot you’d find in any big city in America, offering a simple and straightforward menu plus rotating specials to choose from. Stop in here to enjoy the natural light with your meal, which can be ordered off of English menus. 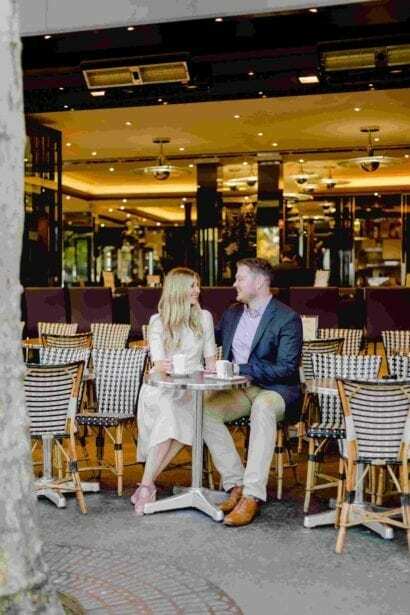 This small and romantic dinner spot is conveniently located within walking distance of the Eiffel Tower. The line is almost always out the door, and reservations are not accepted; however, Graci and her husband did not have to wait too long as the line goes by rather quickly. Here, they tried escargot for the first time! The name of this eatery in Aix en Provence, France translates to “the icing on the cake”, and Graci and her husband agree that the name held true! This was their favorite meal of the whole trip. Here, the owner is also the chef and sole waiter. Once he takes your order, he cooks your meal, serves it, and only then does he move on to the next table. With only about 10 seats in the entire place, the process is not as lengthy as you may think. English menus are not available here, but we suggest you do as Graci did and let the owner choose everything for you. In addition, this famous eatery is extremely affordable! Club 55 has been open since 1955, with awesome atmosphere and the freshest food in France. Though very expensive, it is worth every penny! For one thing, it sits on the beautiful white-sand Pampelonne Beach. After your meal here, rent a couple of sun loungers and spend your day watching all of the mega yachts cruise by. You may even catch a glimpse of a celebrity! Book your own getaway to France! Call us at 402-281-3022 and ask to speak to Graci or any of our Europe specialists.